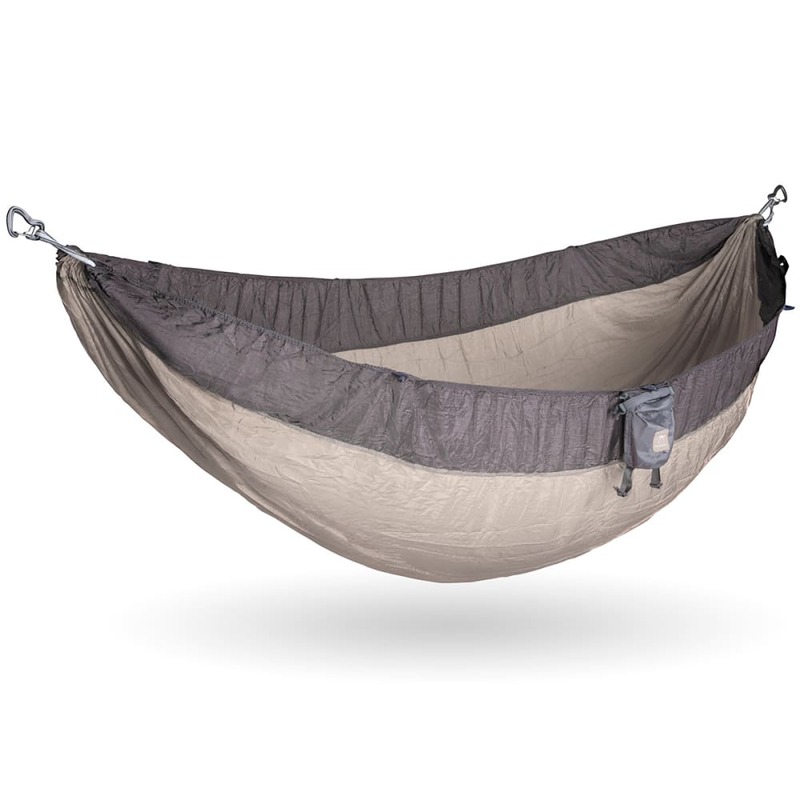 The Kammok Roo Hammock's easy setup gets you off the ground and into the restful comfort of your hammock in a hurry. Even better—it packs up just as quickly. Roomy enough for two campers, it can support up to 500 lb.